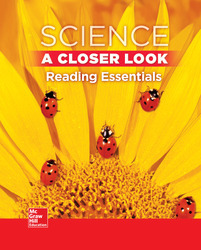 Reading Essentials provides an ‘interactive’ reading experience to improve student comprehension of science content. It makes lesson content more accessible to struggling students and supports goals for differentiated instruction. Students can highlight text and take notes right in the book!